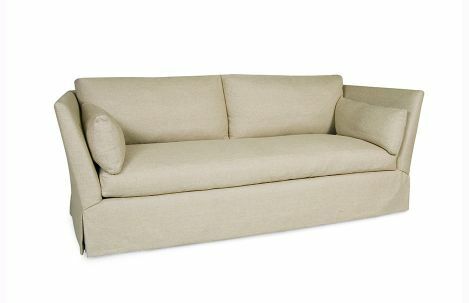 Custom upholstered wing back skirted sofa from Lee Industries. Top stitching, loose seat and back cushions. Standard with two bolsters.